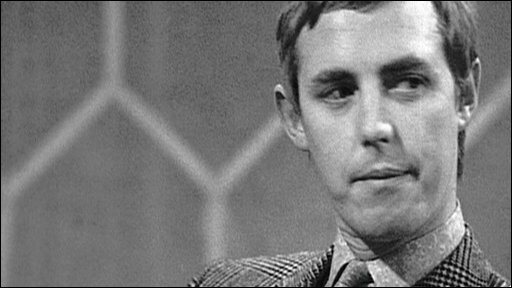 Chat show host Simon Dee, one of the biggest stars on British TV in the 1960s, has died at the age of 74. Dee presented the Dee Time programme on BBC TV in the late 1960s. 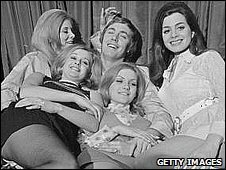 He was synonymous with the spirit of the Swinging Sixties and rubbed shoulders with many of the biggest stars of the day. But he fell from grace at the end of the decade and disappeared from the airwaves. He died from bone cancer, his daughter Domino Henty-Dodd said. Mrs Henty-Dodd said her father was diagnosed a matter of weeks ago and could not be treated. Dee, real name Nicholas Henty-Dodd, started his career on pirate radio, and was the first voice to be heard on Radio Caroline in 1964. He then moved to the BBC, where he was among the launch line-up for Radio 1. Tony Blackburn pays called fellow DJ Simon Dee a "brilliant broadcaster"
Dee Time, his pop music TV show, attracted a peak audience of 15 million people from 1967-69. It captured the era, with closing credits famously featuring Dee driving away in an E type Jaguar next to a blonde woman. His show's catchphrase, in a nod to The Tonight Show with Johnny Carson in the US, was the introduction: "It's Siiiimon Dee!" Dee was also seen on early episodes of Top of the Pops and had cameo roles in the films The Italian Job and Doctor In Trouble. Liz Hurley has said the Austin Powers movie character was based on Dee. 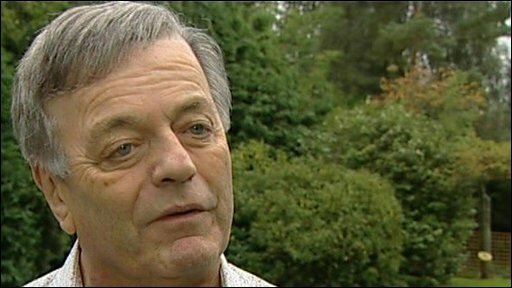 Tony Blackburn - who was one of the original Radio 1 DJs with Dee - said he was "a nice guy" who could not handle the enormous fame and success that he achieved. "I was very sad about the news, he was an interesting character because his career rocketed to terrific stardom, but he was one of those people that couldn't handle the fame. "He was really Mr Saturday Night television, he represented so much the Sixties... he did have an enormous audience, you're talking in the 19m, 20m audiences. Nobody else could go close to that." Former BBC Radio 1 and Radio Caroline DJ Johnnie Walker said Dee's appeal was his common touch. "He was just kind of a normal guy, in the same way [that] so many groups like the Beatles and all that followed were. It was just part of that youth revolution thing," he told BBC News. "And Simon had the looks and was a bit cheeky and he was the sort of guy that mums would like their daughters to bring round for tea." Dee told Joan Bakewell in an interview in 1987: "The 60s were a time when everything was growing. "There was a tremendous explosion of art and creativity and I had the good fortune to have them with me, people that were doing it. "So one was very much in touch with this flow, which ended when the 60s ended. As I did." The tale of Dee's rise to stardom and subsequent swift demise passed into TV legend as an early example of the fickle nature of celebrity. "He was huge in his day," his daughter said. "Before celebrity became such an everyday thing, he was a celebrity in the real sense. "He was one of the first to become famous so quickly." She added that he loved the music acts he worked with in the 60s. After becoming increasingly difficult to work with, Dee left the BBC after wrangling with TV executive Bill Cotton over a new contract. Instead, he went to London Weekend Television, but was sacked and his comeback attempts were short-lived. He ended up on the dole and served time in prison for not paying his rates, and spent his final years in Winchester, Hampshire, in virtual obscurity. Mark Linsey, BBC controller of entertainment commissioning, said: "We're sorry to hear of Simon's death. "Simon was an iconic figure within the entertainment industry and shaped the face of entertainment chat shows in the 1960s and was one of the leading presenters of the time." Dee was married three times and is survived by four children and four grandchildren.